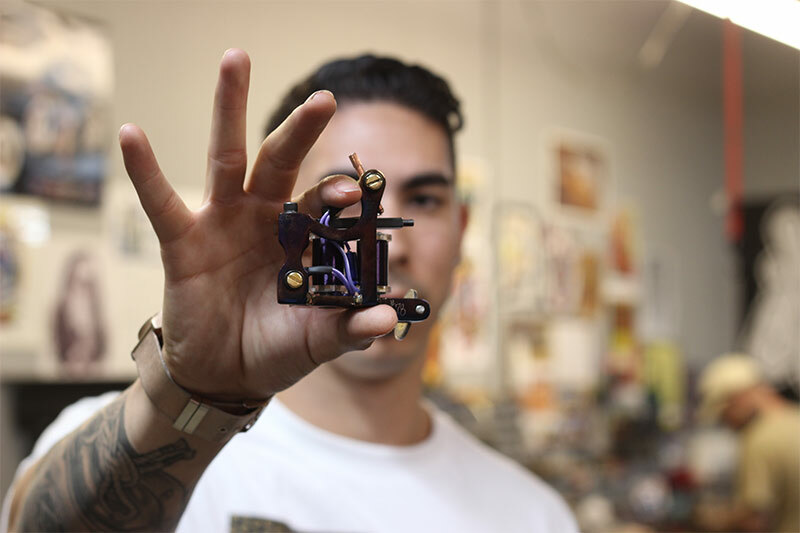 Currently sitting in a shop full of tattoo artists that enjoy using cannabis in their off time, I conducted a quick survey and asked them if they think the plant has an effect on their ability to tattoo or pierce people in creative ways. Being a tattoo artist or piercer (a good one) is probably one of the most creative careers that one can have. So when a study popped up saying that stoners aren’t as creative as non stoners, we all kind of stopped and laughed. The study (which some media outlets are claiming has “busted the myth that marijuana makes you more creative”) was conducted by dividing cannabis users in to three groups of 18. One group was given cannabis via vape (but again, media outlet twists this by saying the THC was “injected with a vaporizer”) with a high dose of THC (22mg), one was given a low dose of 5.5mg, and the control group, which was given no THC. The study stated the that highest dose was equal to three joints (averaging at .5 grams of THC per joint, totaling at 1.5 grams of THC) and the low dose was equal to about a single joint. The groups were then asked to complete two tasks that tested their creative thinking. Researchers said that the smokers who consumed low amounts of THC and no THC did the best at these tasks. They had the highest amount of cognitive thinking during the test. The group that had consumed the higher amount of THC didn’t do as well and they claimed that it actually hindered the ability to quickly identify as many possible solutions to the problem at hand. The conductors of the study said that there was no evidence of increased creativity in their actual performance. Psychologist Lorenza Colzato held a press release and stated to the media “The improved creativity that they believe they experience is an illusion. If you want to overcome writer’s block or any other creative gap, lighting up a joint isn’t the best solution. Smoking several joints one after another can even be counterproductive to creative thinking.” Yet in the information on the study, not one sentence mentioned if the high THC group was full of regular smokers. If you give a new smoker three joints to the face, chances are that they will pass out and that’s the end of it. Heavy cannabis users can power through a day at work, a long drive, math homework, or writing a paper. Seasoned stoners know how to handle themselves and this “study” may have neglected to remember that fact. Unfortunately, stoners everywhere will disagree with this fact, myself included, as well as every person currently sitting within ten feet of me at the moment. As a writer, I can say that smoking cannabis helps me to think of more possibilities for subject matter and also helps me to slow my thoughts down in order to focus on the task at hand (the complete opposite of what this study claims). Bottom line? 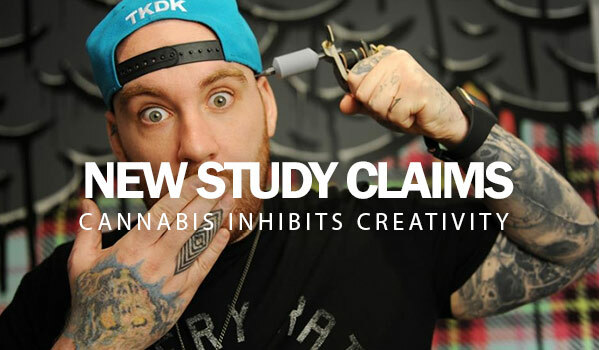 Stoners are the best people to ask about whether they think cannabis hinders their creativity, not a study that may or may not be biased.